Mojstrana and its surroundings is a great starting point for various outdoor sporting activities. 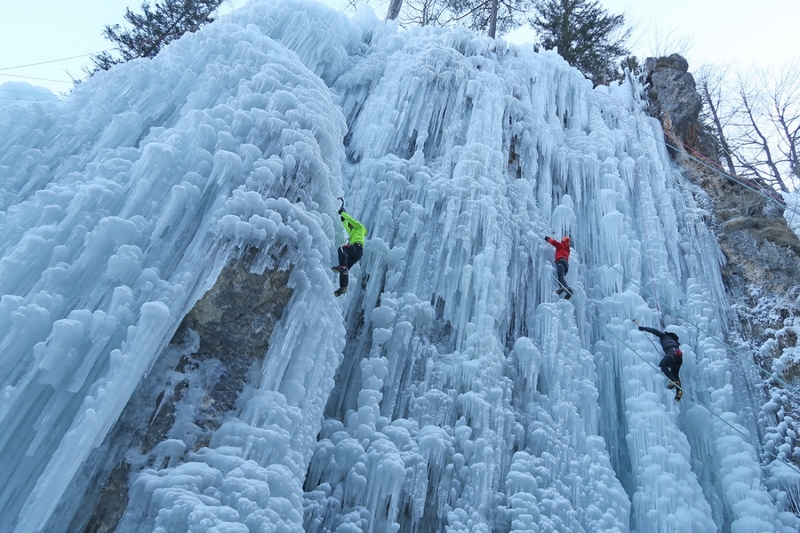 Among them is ICE CLIMBING in the Mlačca gorge during winter conditions when it is covered by ice. 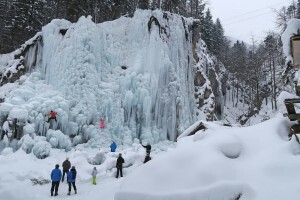 The gorge is near the approach to the village of Mojstrana. 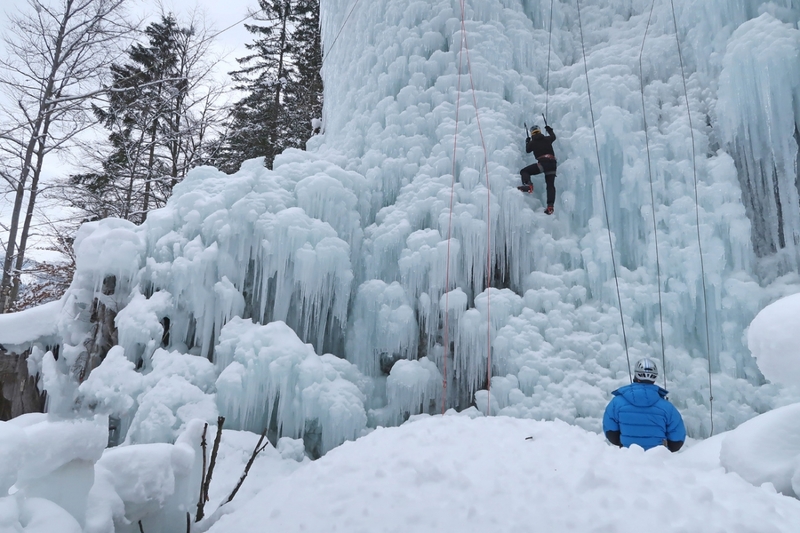 The Mojstrana Ice Climbing Association takes care of the gorge and ice. The gorge is open during the Christmas holidays from 25th December – 2nd January, when part of the gorge is used to stage a live nativity play. 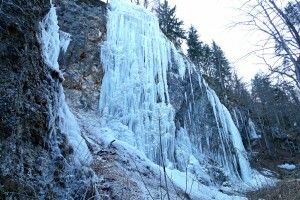 The part of the gorge where the play is staged is closed to visitors, other than those attending to watch the nativity. 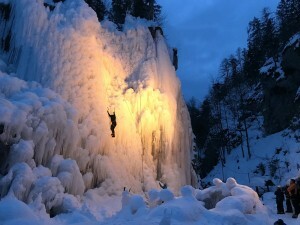 During this period the central and right part of the gorge is available for ice climbing in the mornings. 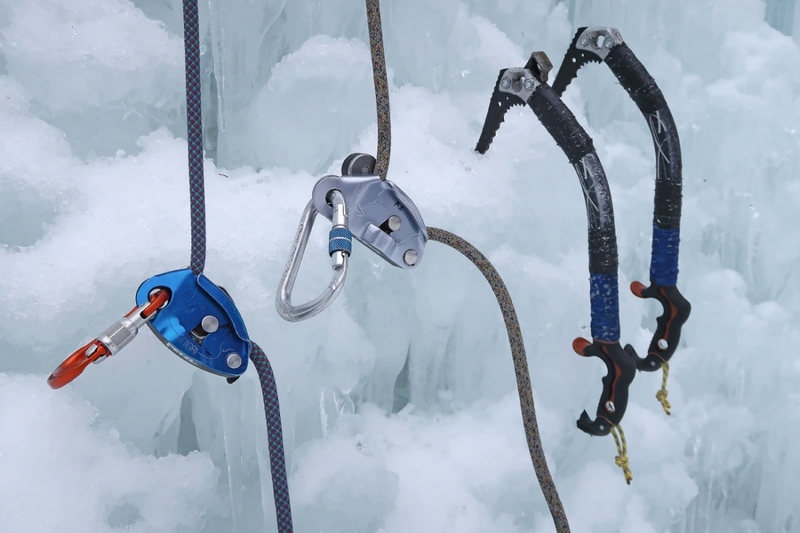 After the Christmas holidays all of the areas that are suitable for climbing are available. The gorge is sectioned into three parts; the left part is for beginners and the right part of this section is more steep so it is also suitable for more experienced climbers. 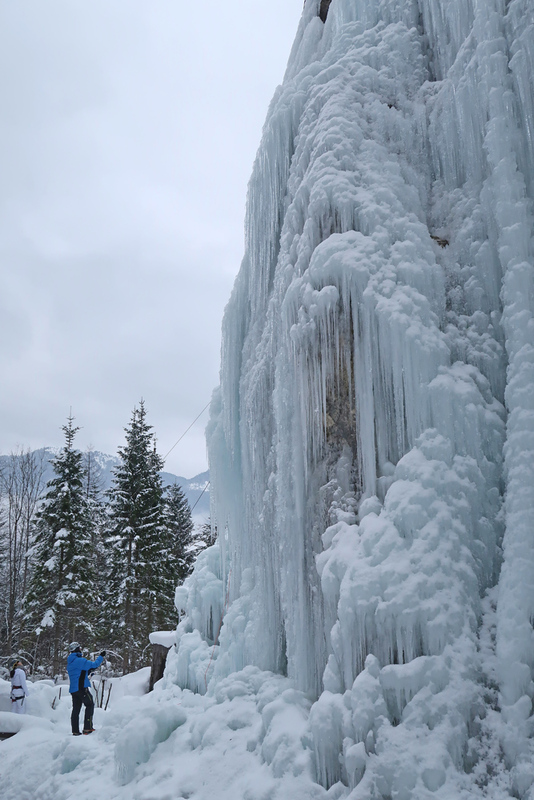 Here the left part is 20-30m high for climbing and there are 10 different climbing routes. 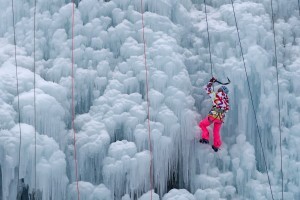 The middle part is for more experienced ice climbers. It has an incline of 90 degrees and a height of around 40 metres. 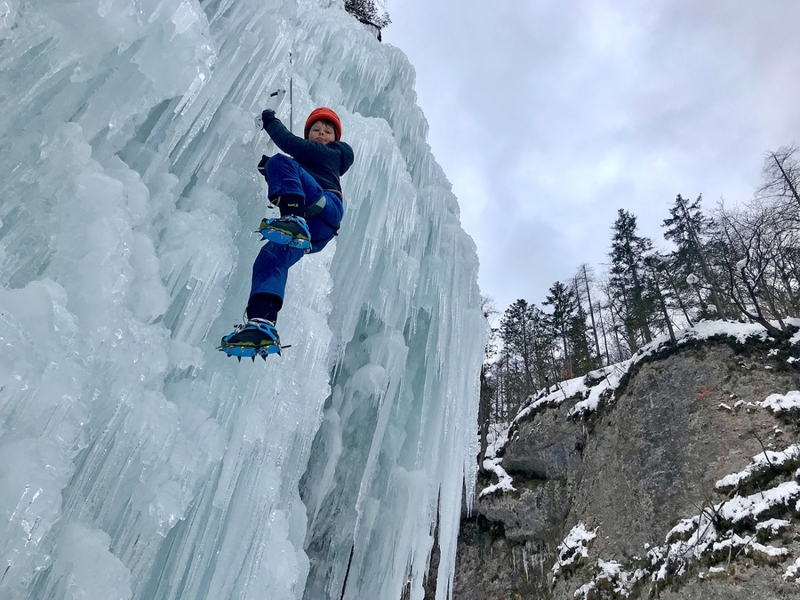 The right part is also suitable for beginners as well as for more experienced climbers and features around 5 different climbing routes. 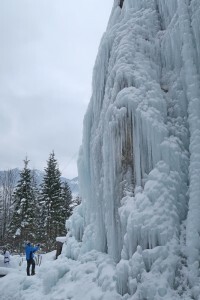 On the opposite site there are dry tooling and mixed routes. There are 8 routes ranging in difficulty from D6 up to M9. 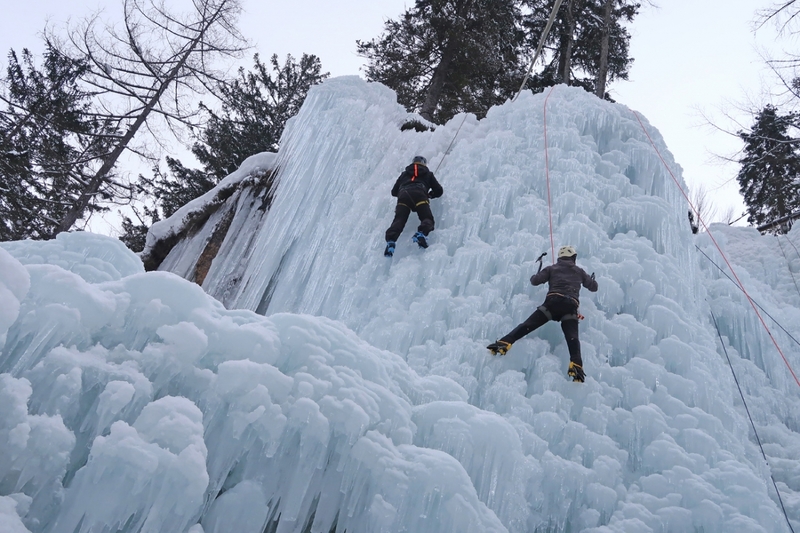 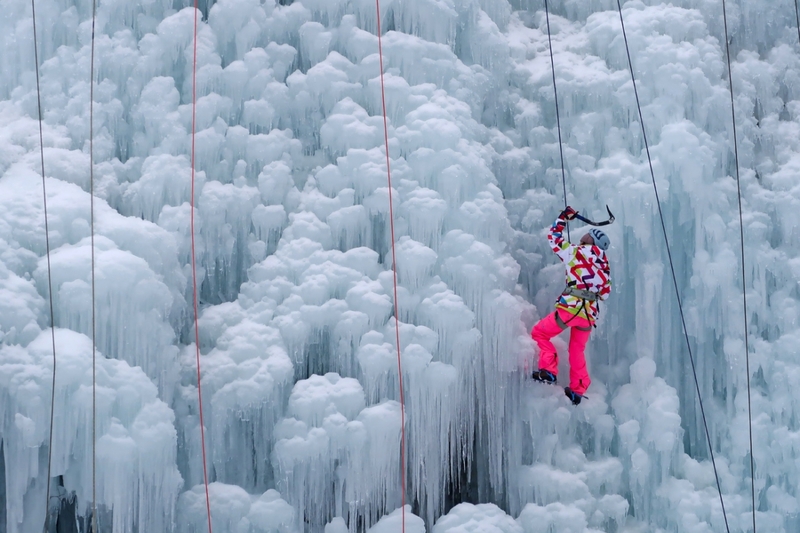 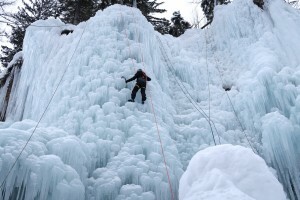 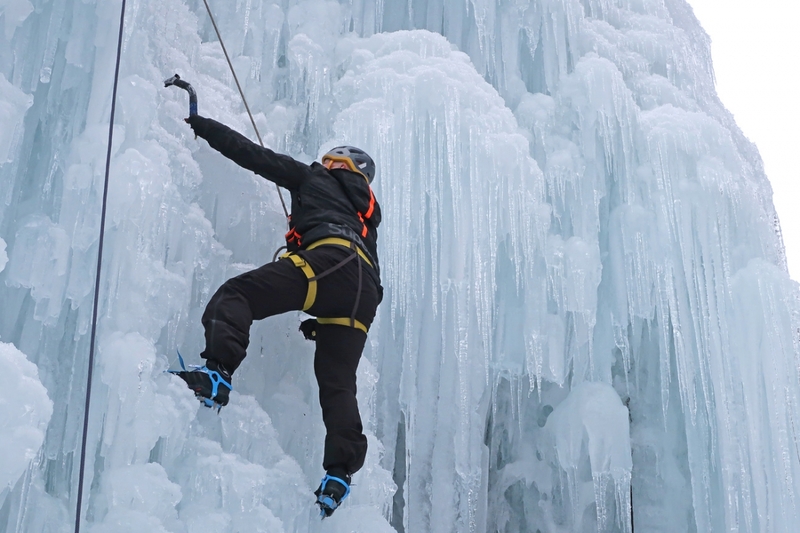 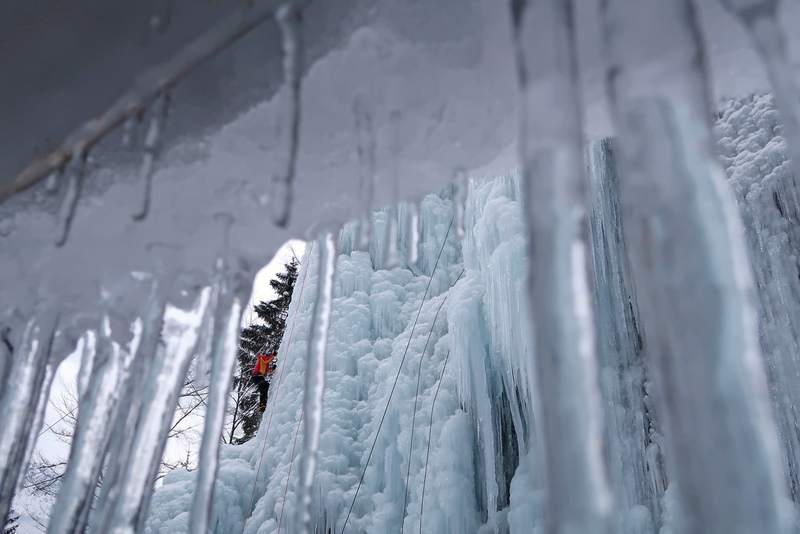 Ice climbing in the gorge is done using top rope belaying. 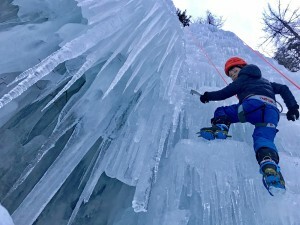 It is suitable for beginners, children from the age of 10, and for the more experienced. 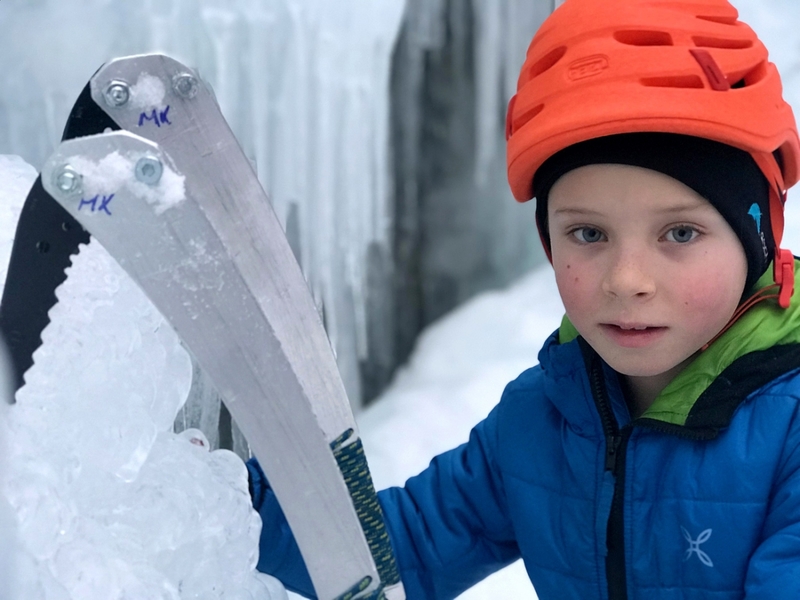 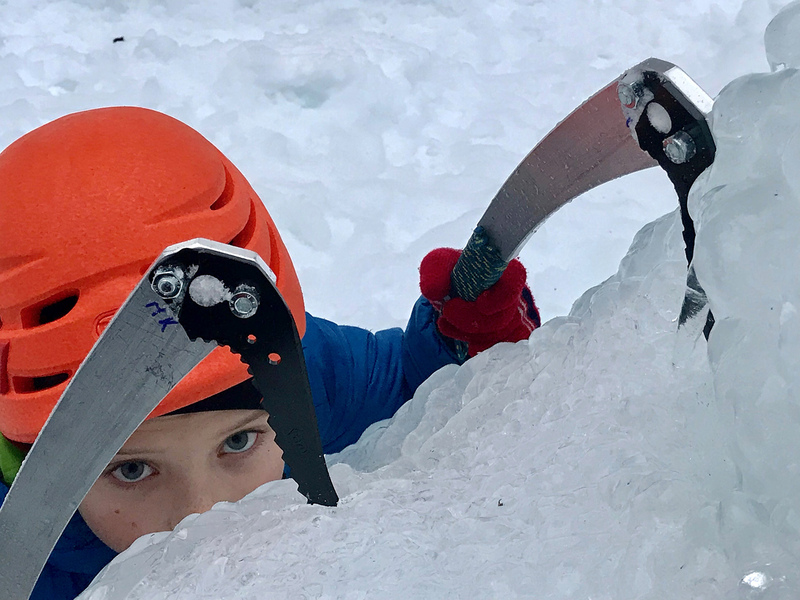 Special ice axes are available for children. 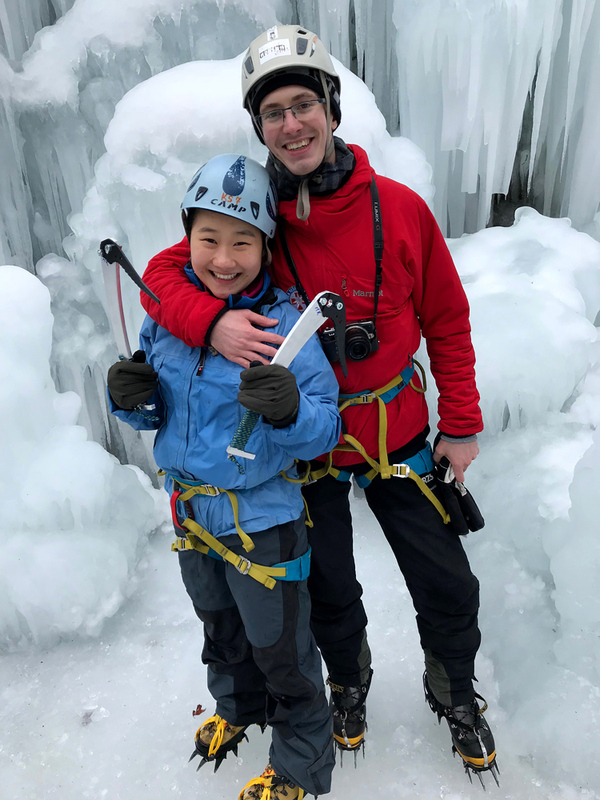 Those who have previous experience of ice climbing may climb on their own, while those without experience, as well as those wanting to learn more and/or improve their skills, can climb with the assistance of one of our instructors who will help you to make the most of the experience. 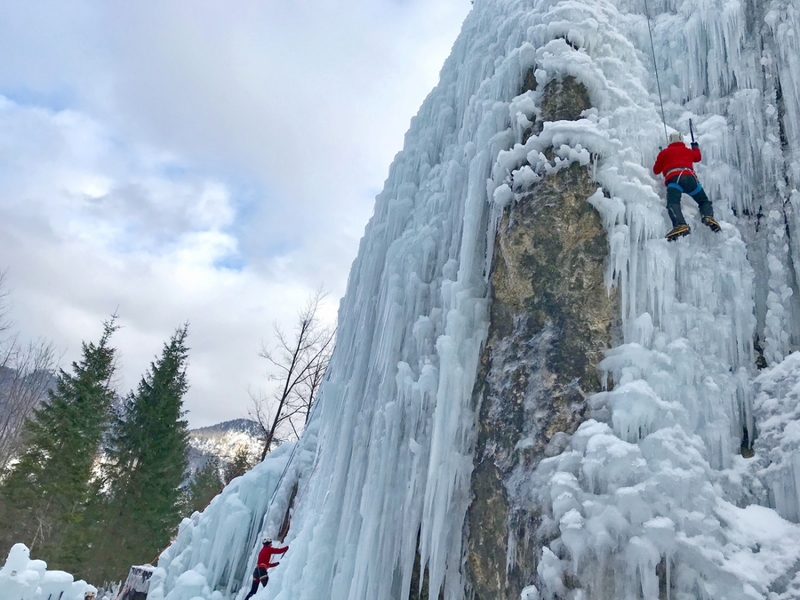 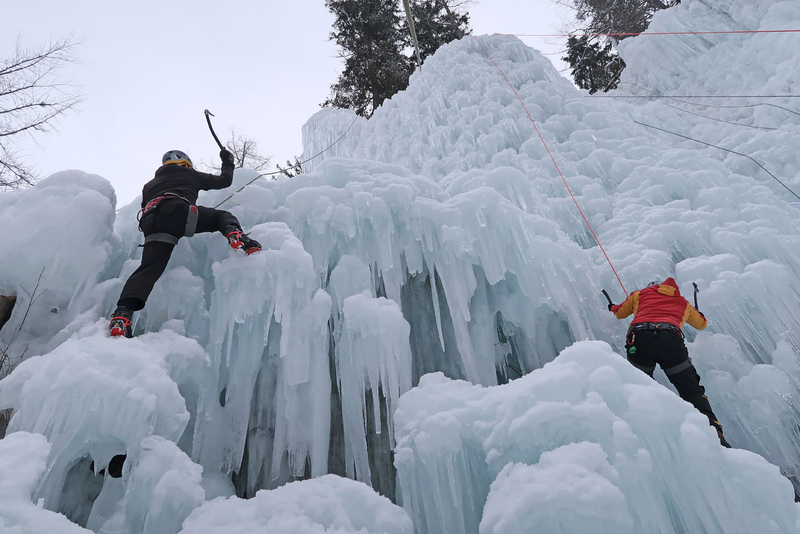 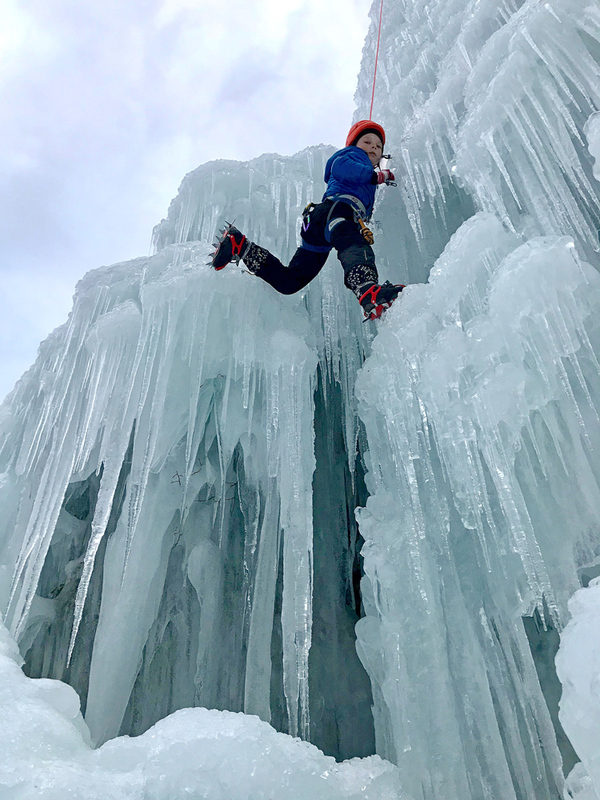 Ice climbing is a special activity where you will have the opportunity to challenge your boundaries and test your strength. 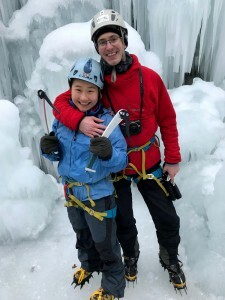 Join us for a special experience. Transfers are available from the Kranjska Gora area or Bled (for a minimum of 2 people). 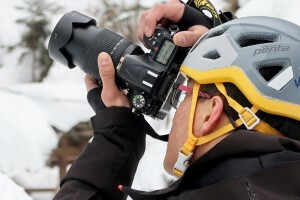 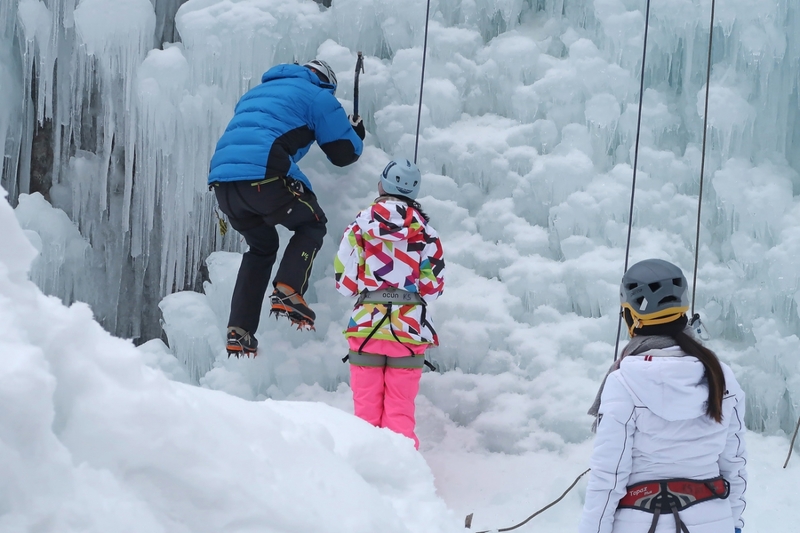 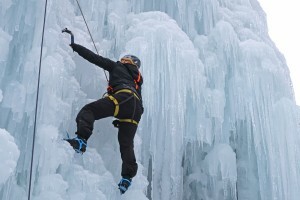 More information about prices for ice climbing. 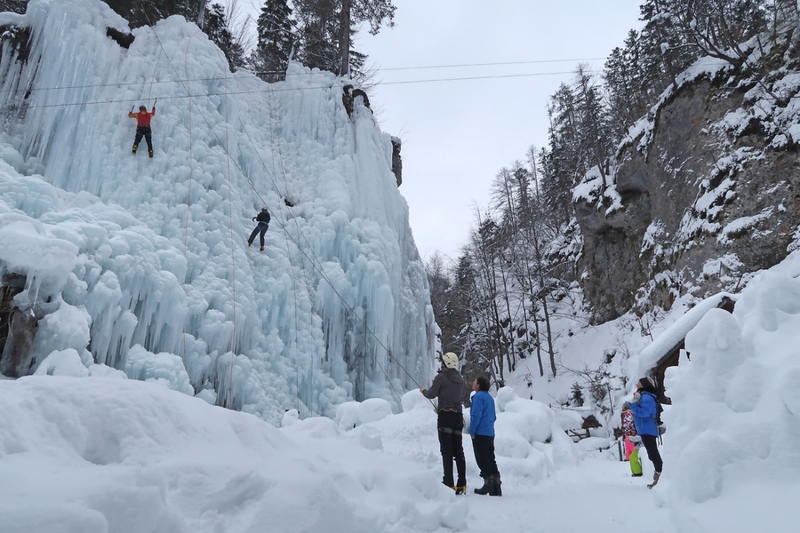 We look forward to seeing you at the Mlačca gorge!